A part of the B-Family of vitamins, Folic Acid is especially important during times of rapid tissue growth such as infancy and pregnancy. This yeast-free vegetarian formula provides 1mg of Folic Acid per tablet, and helps to prevent neural tube defects when taken prior to becoming pregnant and during early pregnancy. I have to take folic acid anyway, might as well get it delivered to my door for a great price! Small pill is easy to take. Good price for what you get. Happy with purchase. 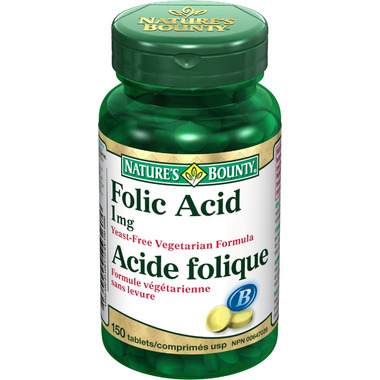 I just began taking folic acid and these pills seem to do the job! Good value. I take these on top of my prenatal for extra folic acid.